Bella Vasta has grown the one-person pet-sitting business she started right out of college into a thriving enterprise of pet- and house-sitters. That there is no secret. Bella’s success has been powered by a foundation of smart, proven content marketing strategies. The vast majority of Bella’s clients — 85% — find her on the Internet. And her online marketing skills make her business a great role model for any local business trying to think bigger in 2014. When she started her business, Bella saw beyond the perceived limitations of a stereotypical hyperlocal small business. She decided not to stay small, and began using employees to expand her client services — while using content marketing strategy to bring in a constant stream of pet-sitting prospects. With her network of contractors, Bella’s business is pretty much limitless. Even more amazing is the fact that Bella started her business right out of college. She went directly from being a student to managing her own business, without the trip through corporate America that many entrepreneurs take after graduation. This woman’s got gumption galore, and her efforts are paying off in BIG ways. We sat down with Bella to ask her how content marketing has helped her solidify her company as the go-to resource for pet owners in Scottsdale … and how her business fits in with her professional and personal goals. Bella’s WordPress blog is at the center of her marketing strategy. She and her team write regular posts about pet-related topics, local community events, pet care tips, plus other educational articles. Because her business targets a hyperlocal market, her blog posts focus on topics of interest to local pet owners. Within the hour, I have [the announcement] posted on my website, and I am sharing that post on my local community Facebook pages, promoting it to pivotal pet people in my community, sending it out to my networking group pages, and sharing the link with other pet sitters so they can send it to their readers and customers. The way I look at it, why should I promote someone else’s link, when I can write my own post and have that traffic go back to my site? Since we usually break the news within the first few hours, we have become a trusted resource for important pet care news. After she publishes her “newsjacking” content, Bella uses social networking sites (primarily Facebook and Twitter) to drive traffic back to her posts. She features her business phone number prominently on every page on her website, so anyone who wants to reach her for immediate pet or house sitting needs can get hold of her quickly and easily. Key takeaways: Make sure a content-rich website is the foundation of your online marketing strategy, then use social networking tools to drive traffic back to your site. If you’re writing about time-sensitive topics, crank out your content quickly in order to be the first in your field to break the news. Readers are not checking your site on a regular basis to see if you’ve posted anything new — it’s your responsibility to turn your audience’s heads your way. Bella also knows that she needs to make her emails mobile-friendly, so she keeps things simple and doesn’t mess around with complicated layouts. I use email frequently, but I don’t believe in traditional newsletters that are all “done up” in pretty templates and such. I know that people are reading emails on their phones, so I make the margins thin, and make my emails easy to read by using lists and short paragraphs. Key takeaways: Use email to drive traffic to your content and connect with your audience, but don’t overcomplicate your campaigns. Think simple and make your notes highly readable. Stay agile. Sometimes, fast content creation can work in your favor — especially if your topic is time-sensitive. Get engaged. Respond to your followers when they reply, tweet, or comment on your content. Replying and engaging will help you stand out from your competition. Bella has become so successful that she’s teaching other business owners how to succeed in her industry using online marketing. Her second website, Jump Consulting, focuses on helping pet sitters leverage content marketing to get found online. Bella’s next goal is to become a wife and mother. Because she uses content marketing techniques to get customers, her business is flexible enough that she can run the entire thing from her home. We’ve seen previous case studies that focus on the power of super-motivated moms and the amazing impact they can make while still having family flexibility, so we all know what’s possible for parent entrepreneurs. The short version is this: The sky’s the limit. Given Bella’s current entrepreneurial trajectory, the future looks very bright for the pet sitting queen. She’s a role model for other college students, for mothers, and for anyone who wants to start a business in a local service industry. Previous article: Could This Headline Technique Double Your Click-Throughs Too? Great point. You can’t sit on content forever because it does you no good in draft mode. You have to be willing to push something out and let it do it’s job. Not every piece of content is going to be a gold medal winner, but there is value to every piece you create. Nick, I think I’m going to make a huge poster that says “It does you no good in draft mode” and put it above my desk. Love that. You are soooo right! In fact, I know many bloggers have a gold mine sitting in their drafts! You can’t be afraid that it isn’t “good enough” Heck, I am sure if you read through my things, you will find lots of errors…. but you need to go on with your bad self and DO IT bc nothing is ever PERFECT. 🙂 Thank you for taking the time to comment! Great info! Bella is truly an inspiration! There’s something to be said about knowing your industry like the back of your hand and becoming one of the experts or tastemakers. I agree, Scott — I love the way Bella found something that pet owners really care about and NEED to know about, and built her content strategy around that! Smart! I couldn’t agree more, Rick. I think math and science are incredibly important, but I’ve gotten more out of my 8th and 10th grade English/writing classes (I had fantastic teachers for both) than any other class I’ve ever attended. And that includes 4 years of college. I think we need to focus on teaching great writing, so our next generation always has that tool in that toolbox — no matter what they decide to do in their professional careers. I feel the same way about my 10th & 12th grade English teacher. Thanks Mrs. Carder! Rick if I went back in time, I would have wanted to learn how to write better. Although learning as I go has taught me a lot of “street smarts,” I would have loved (at least in college) to have a class all on how to write blog articles. They are a lot different than the 5 paragraph essay! The link says your webinar is over, Beth. Any chance of a link to the replay? Yep, Laura — I’ll contact you through your website! Thanks! Wanted to let everyone know that Bella is on her honeymoon in Europe (congrats, Bella!) so she’s offline until the beginning of February. Her staff is taking care of the business while she’s out on vacation….which I think is fantastic. Because Bella is out, I will be answering questions, etc. here in the comments. Thanks so much for your beautiful article Beth and watching in o the comments here! You are amazing and and I am so happy to have met you! 🙂 <3 Woof! I love seeing real-world examples of people using content marketing to create their own paths in life. Thanks and please show us more! Taking action is just as important as planning, whether that’s writing or promoting or anything else, one thing that stands out here in this case study is that Bella decided what she wanted to do and took action to get it. Flexible enough to change when needed, her going to get it done attitude is infectious. 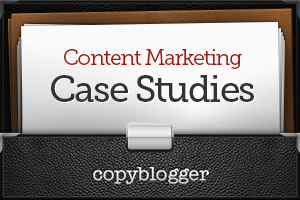 Thank you Beth, for sharing this case study. You can’t ever be afraid of doing things. If you make a mistake, I believe, it isn’t really a mistake if you learn from it. Always be stepping forward! Great story! Even though “newsjacking” is nothing new, it’s still not an outdated tactic at all. She had everything she needed to promote herself — a unique niche, a blog full of resourceful content and updated news on the topic. A perfect concoction of success! What a great case study and for a college grad, it makes it that much better. I hope people see this before making the commitment to college, hopefully give them inspiration to try this before investing a ton in school. Adam, I couldn’t agree with you more! I am a firm believer that with the right personality and drive anything is possible. In fact, I didn’t take one business class in college. I was a COM major and there bc my parents expected me to be. I love them dearly, but yes – I think I might have been able to do this without college. It is all about the individual. Life is school if you let it be! Thank you for this, Beth. Bella proves that lean and agile win the day! Know your audiences pain points and create relevant and engaging content for THEM. But it bears repeating. And I echo all of the earlier commenters, it is so terrific to have real world examples. I will elaborate on your comment with a story I tell those I coach. There is so much relevant content around you every single day. You just need to open your eyes and put your “news reporter” cap on. Thank you so much for taking the time to comment. Beth is amazing bringing all these real life examples to her readers. I am honored to be included! I also like how she provides ‘ancillary’ information that assists the community in general to build the know like and trust pillars that are essential in a successful online relationship. Every business gets the same questions over and over again. So each one is written out in a fun blog that is easily emailed to each potential client to help drive home the points. Yes, it is like having an artillery of sales weapons to use! I just love this story! Bella’s approach is so inspiring. Who would have thought local business could thrive off inviting the world to join online? Proof positive of the poser of social media, blogging and writing. Thanks for this piece! A very inspirational story, all the very best for the future Bella. Bella has shared some really useful gems on how to maximize content marketing. A real help and insightful post. It is great to hear a woman succeeding in the internet. She is indeed a role model and someone to look up to. Bravo and comgratulations. May Bella has more similar success in future.